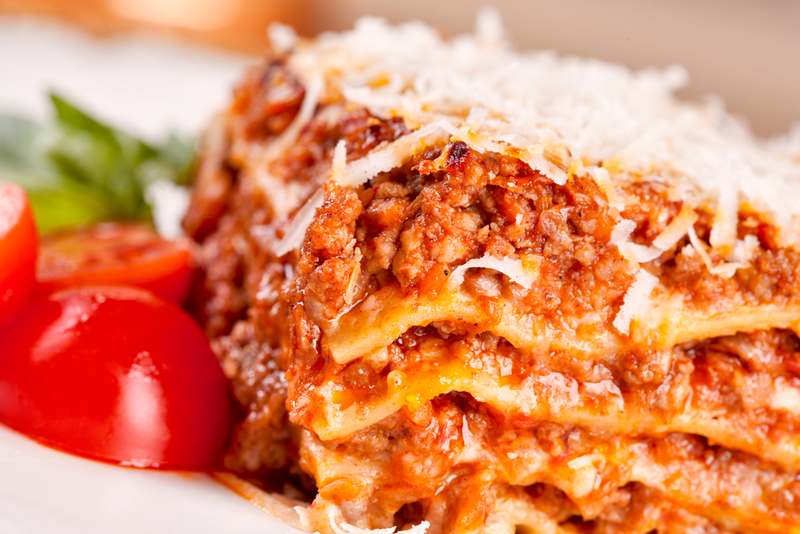 Slow Cooker Lasagna, A GENIUS Recipe That's Simple & Satisfying! There’s nothing more comforting than knowing your dinner is cooking away in the crockpot — especially when it makes your home smell incredible too! If you’re short on time and in need of a wholesome meal, this Slow Cooker Lasagna will save the day. With little prep and hardly anything to clean-up, this recipe is every home cook’s fantasy fulfilled! The cheesy goodness and hearty sauce qualifies lasagna as the ultimate comfort food. Thankfully, this Slow Cooker Lasagna recipe allows us to be warm and fuzzy on the inside in a super convenient way. Unlike the traditional oven method for lasagna, this slow cooker version allows the flavors to intensify on an entirely different level. Heat olive oil in a large skillet over medium heat. Add the onion and cook until soft, stirring occasionally, about 5 minutes. Add the garlic and cook for 30 seconds. Add the ground beef or turkey to the skillet and season with salt and pepper. Cook until browned, breaking up the meat into small pieces as it cooks. Remove pan from the heat. Cook on low heat for about 4 hours*, until noodles are soft. Turn off heat and let stand, covered, for 30 minutes before serving. Serve with grated Parmesan and fresh parsley or basil, if desired.